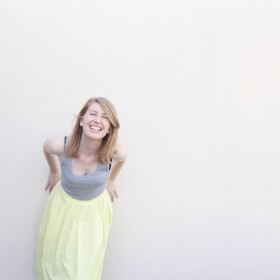 Last summer Mat introduced me to the wonderful world of homemade ice-cream. With the help of his little Sunbeam ice-cream machine, we happily snacked our way through flavours like chai choc-chip, peppermint, espresso choc-flake and cinnamon frozen yoghurt. Despite the soaring temperatures this year, however, we’ve been very lax in pulling out the ol’ Sunbeam bowl from the freezer. Well, no more! I’ve decided I’m determined to churn out some delicious new creations before the season ends. To kick-start it all off, Mat suggested a delicious twist on a Raspberry-Rosé Sorbet favourite from last summer – and so it was. 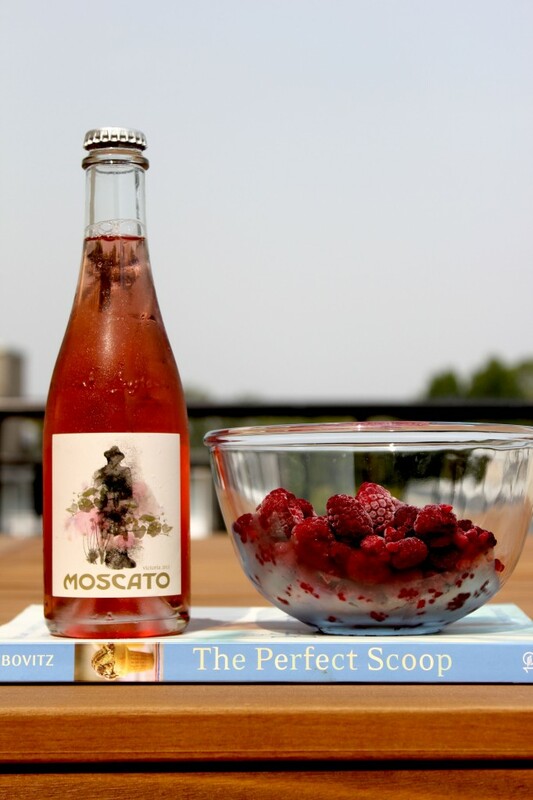 Introducing: the Raspberry-Moscato Sorbet, using our much-beloved Innocent Bystander Moscato. On the other hand, this year Innocent Bystander’s famous moscato has become a delightfully refreshing go-to for hot summer nights. If you’re ever in Healesville in the Yarra Valley, you seriously must go to the Innocent Bystander winery and restaurant. It’s a big, beautiful warehouse-style dining hall that feels industrial yet wonderfully warm and cosy – and most importantly, the food and wine is stunning. We visited again over the New Year’s period and finished off a night of indulgence with a glass of the signature moscato – and so the love affair began. It’s sweet (but not so much to set the teeth on edge) and smooth and packs a candy pink punch – and incorporating it into a favourite sorbet recipe was an exciting prospect indeed. I actually ended up using Lebovitz’s Raspberry-Champagne recipe – it’s very similar, but makes a smaller batch and includes a little water. Being a bubbly wine, I thought the usage of moscato might need to follow this method too. I could be wrong, but I was very happy with the results – so I suppose that’s all that matters! Lebovitz actually encourages experimentation with the sparkling wine used in this recipe – so definitely have a go at subbing in your own favourite bubbly! This Raspberry-Moscato Sorbet is an excellent expression of Innocent Bystander Moscato – wonderfully fresh and sweet, with a little hint of tartness that tickles the whole mouth. Makes approx. 500ml (about 3 little bowls of sorbet). Cup measurements according to American standards. Add the moscato, water and sugar to a medium, nonreactive saucepan (I used a stainless steel Scanpan saucepan; anything made of stainless steel or lined with stainless steel is fine!). Bring to a boil. Pour the mixture through a fine-meshed sieve into a bowl. 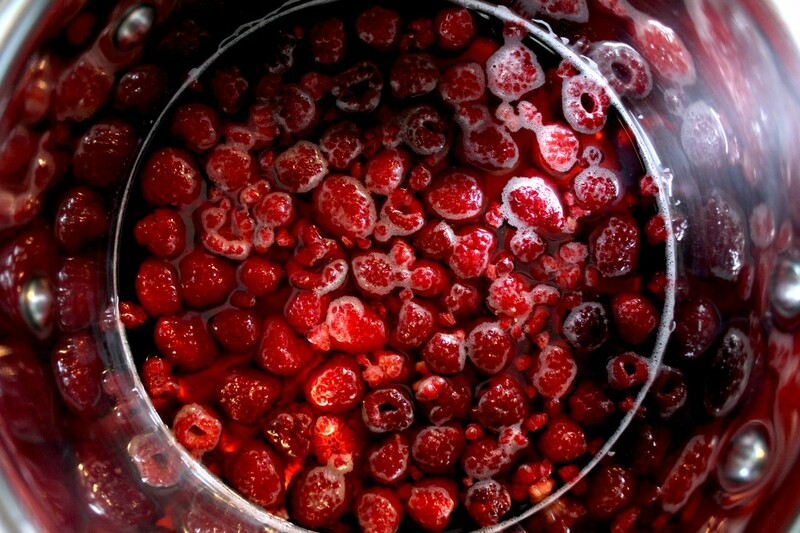 Use a flexible spatula to press the raspberries through the sieve. This is my favourite part! Keep at it until you’ve pressed through as much juice as you can. Discard the pink lumpy mass of seeds left behind. Give the mixture a little stir to make sure everything is combined well. Cover the mixture and pop into the fridge until chilled. I left mine for a couple of hours. Freeze the chilled mixture in your ice-cream machine as per instructions. I use a basic freezer-bowl Sunbeam Snowy machine, and churned the mixture for a good 20 minutes. Because of the alcohol content, it takes on more of a slushie-like consistency – so don’t be too worried if it doesn’t look like it’s freezing enough in this type of machine! It will firm up in the freezer. 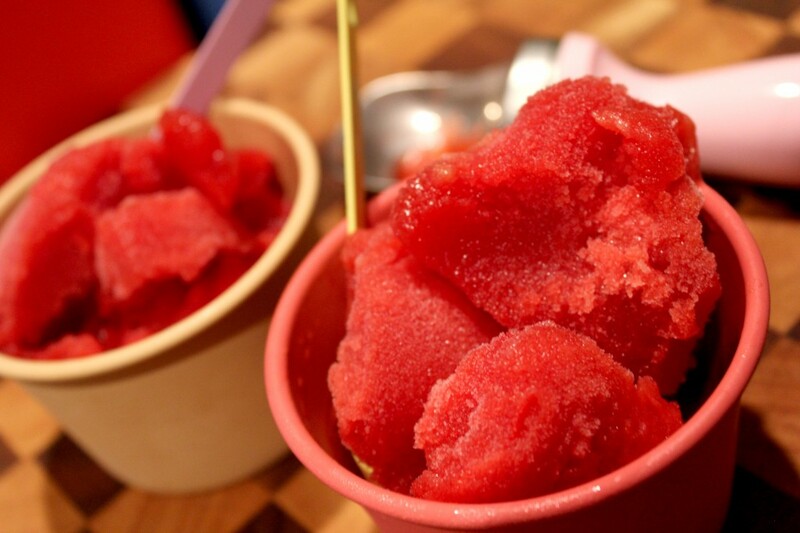 Pour sorbet into a container, close and pop into the freezer. I left mine to freeze overnight – though if you’re super keen I’m sure a few hours would do! Before serving, take out of freezer and let stand for 5-10 minutes (depending on how long it’s been in freezer). Home-made ice-cream and sorbet generally appears to set quite hard, but it softens up quickly and still has an amazing texture. Wow this sorbet looks gorgeous, perfect for summer! Love the Moscato at Innocent Bystanders :) They now do a Moscato Granita at the restaurant, really good. Will definitely have to try the moscato granita next time!